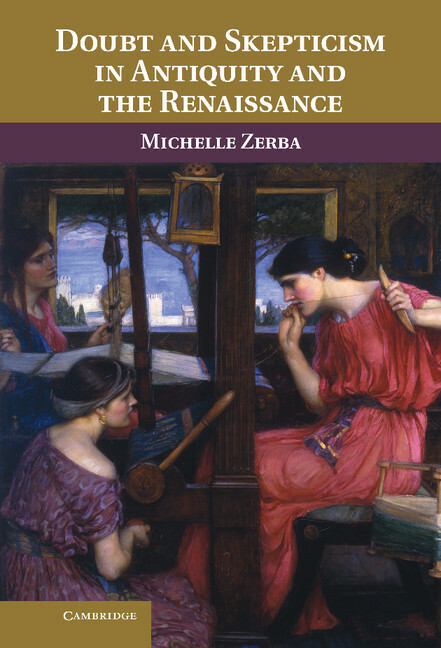 Michelle Zerba is the author of Doubt and Skepticism in Antiquity and the Renaissance (2012). Zerba is Associate Professor of English, Classics, and Comparative Literature at Louisiana State University. She is the co-author of Tragedy and Theory: The Problem of Conflict Since Aristotle (Princeton 1988) and numerous articles on literature, rhetoric and philosophy in antiquity and the Renaissance.